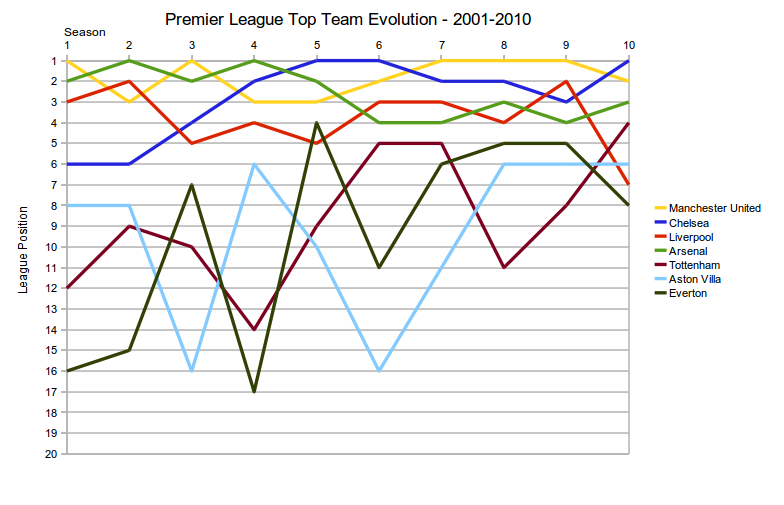 A chart showing the final league positions of the seven Premier League teams that have never been relegated from the PL. 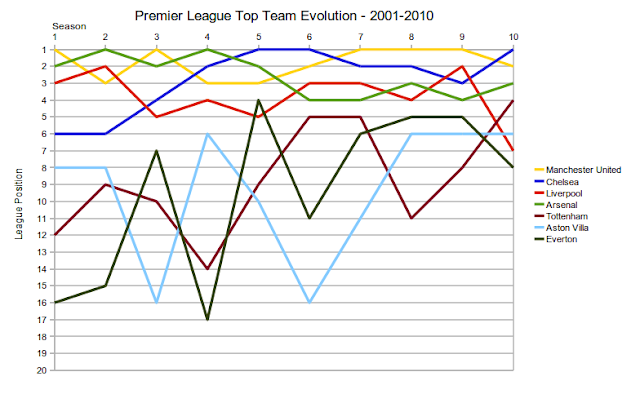 From the 2000/2001 season to the 2009/2010 season. No surprises here but United's dominance is more clear than ever. I just found your blog and read a lot, some excellent stuff here, dude. Keep it up!